Wilson Perumal & Company was founded on the insight that companies are struggling with the level of complexity in today’s world and need to rethink traditional approaches to strategy and execution. We bring a distinct point of view, deep experience, and unique methodologies to help you tackle complex, systemic issues. 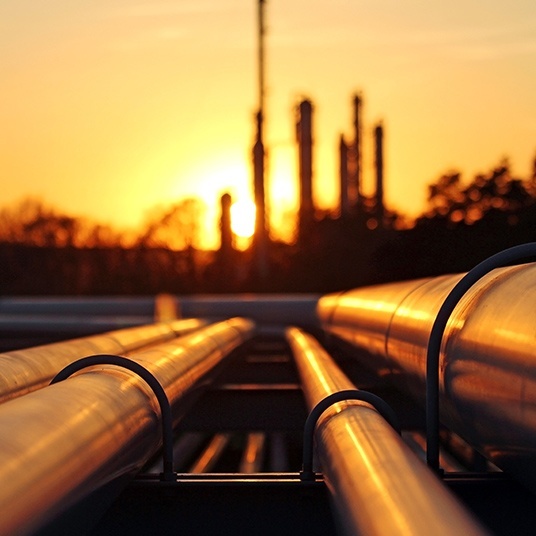 Whether you want to lower costs, accelerate growth, or reduce risk, we can help you seize previously untapped opportunities. 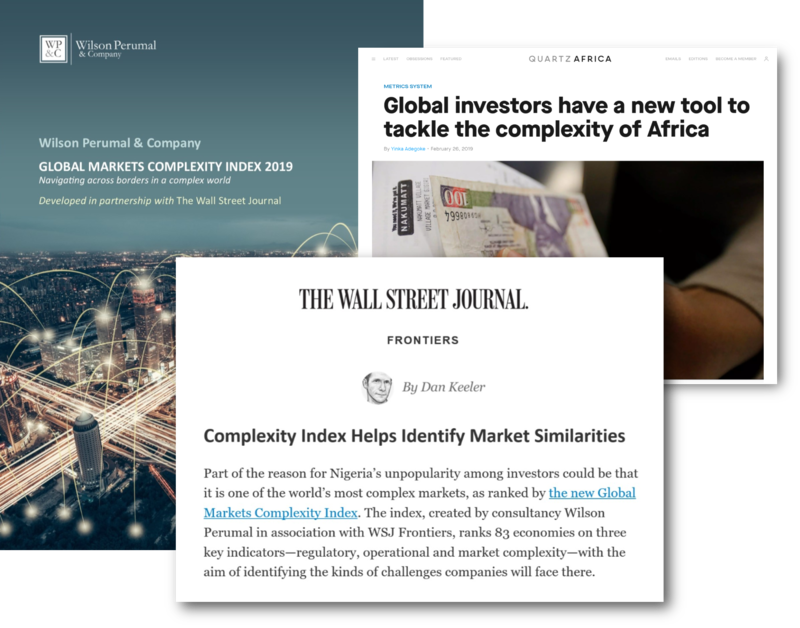 The Wall Street Journal describes the Global Markets Complexity Index (GMCI) as ranking 83 economies on regulatory, operational, and market complexity and helping to "identify which countries have similar operating environments so investors—both corporate and financial—can make more-informed decisions on which countries they will be comfortable or capable of operating in.” Quartz's coverage framed the GMCI as a new tool to tackle complexity and CEOWorld Magazine featured the top 5 CEO insights from the 2019 GMCI report. Download the GMCI report and interact with the tool here. 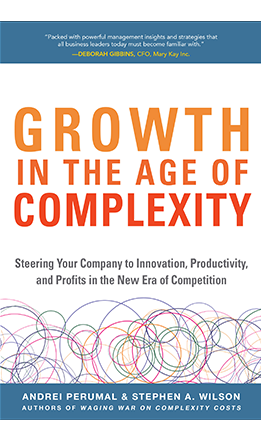 In our latest book, learn how to navigate the Sirens of Growth® and build true scale in today’s new era of competition. 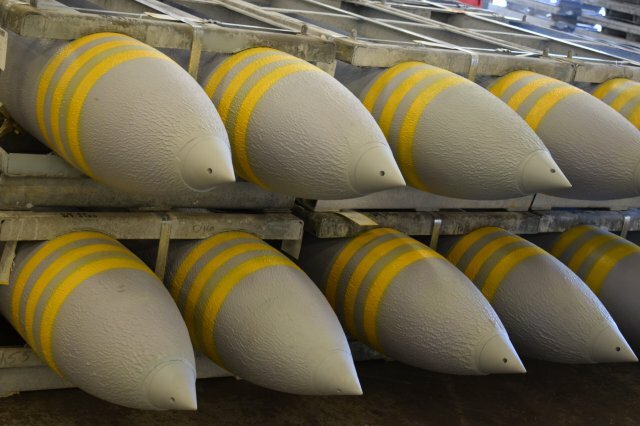 Wilson Perumal & Company has been awarded a competitive contract from the U.S. Army Materiel Command (AMC) and the Joint Munitions Command (JMC) for a year-long series of initiatives to help transform the Army’s Organic Industrial Base (OIB) and enhance its support of Army materiel readiness. WP&C’s previous projects supporting Army Depots helped JMC achieved a 20% reduction in budgeted manpower requirements while maintaining the same throughput and reduced annual operating expenses by over $35 million across five production facilities. Read more here. 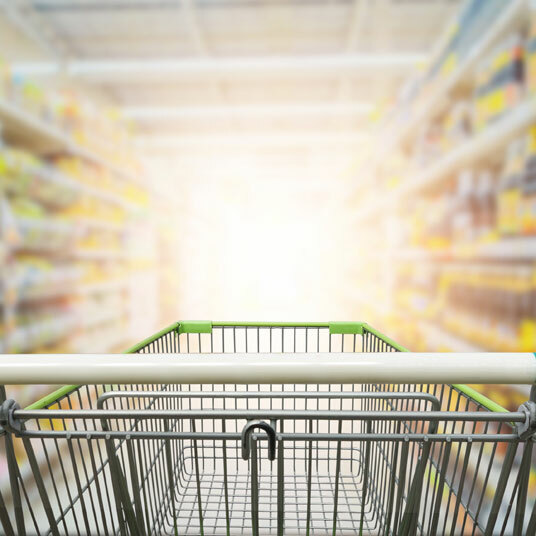 Learn how we reduced inventory by 20% and improved EBITDA by ~10% through portfolio rationalization for a privately-held European food manufacturer and distributor.